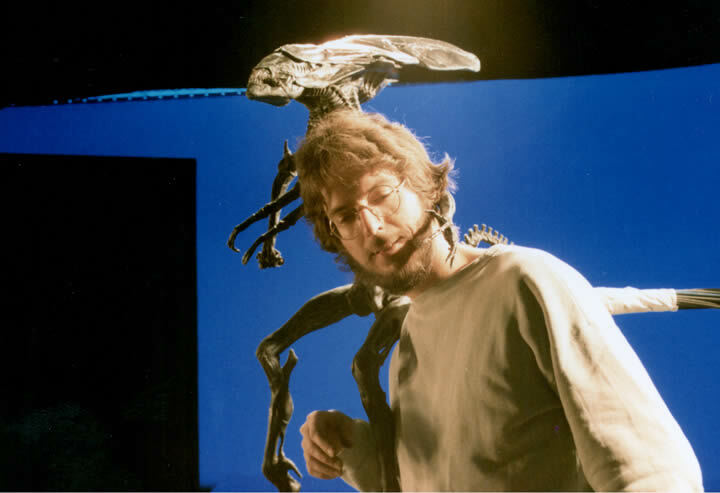 As a guide for the title sequence Jim Cameron took some video on Hi8 of a small piece of polystyrene stuck on top of a light stand, he then moved very slowly towards it until he reached the top of the light stand. 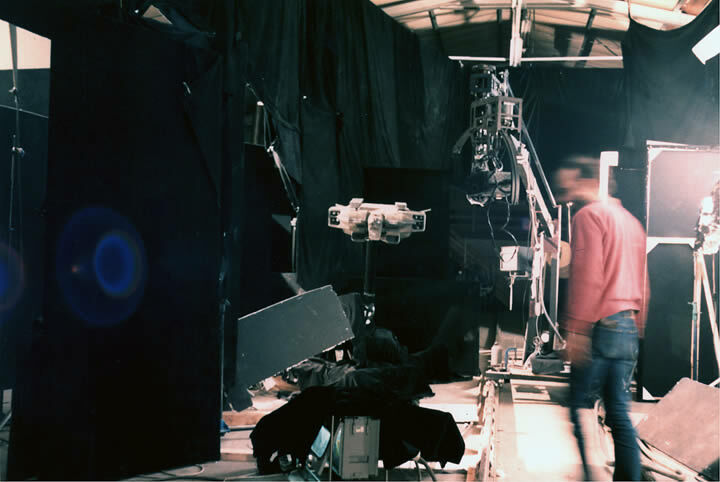 This was our timing and composition we used when we shot the Narcissus craft moving very slowly towards the camera. I was very impressed with this method because it bypassed a lot of work we would have otherwise incurred. 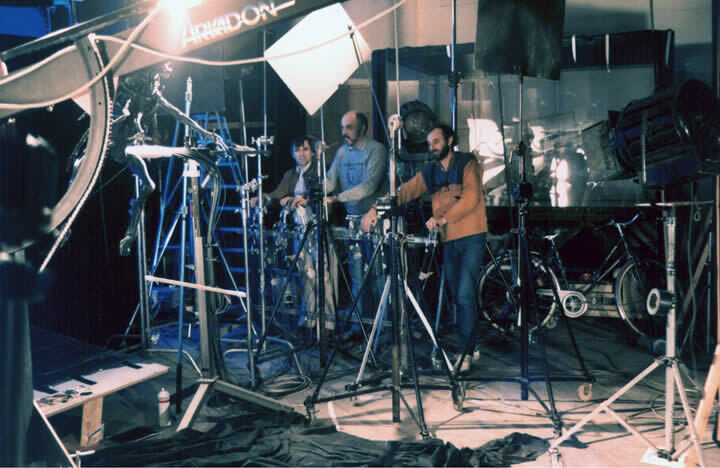 We decided from the start to film and composite these shots in camera on VistaVision as it produced the best quality and totally bypassed the optical printing stage. We found it easier to photograph the drop ship upside down as the pole would be harder to spot by the audience - people always look to the bottom of models. 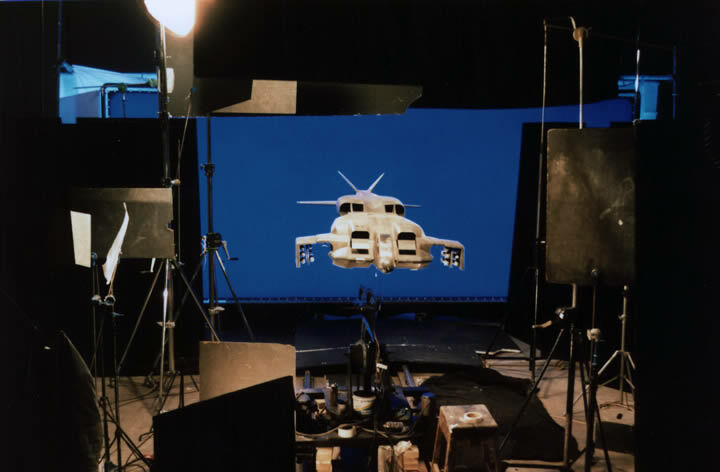 Shooting the animation of the rockets that unravel as the drop ship enters the planet. 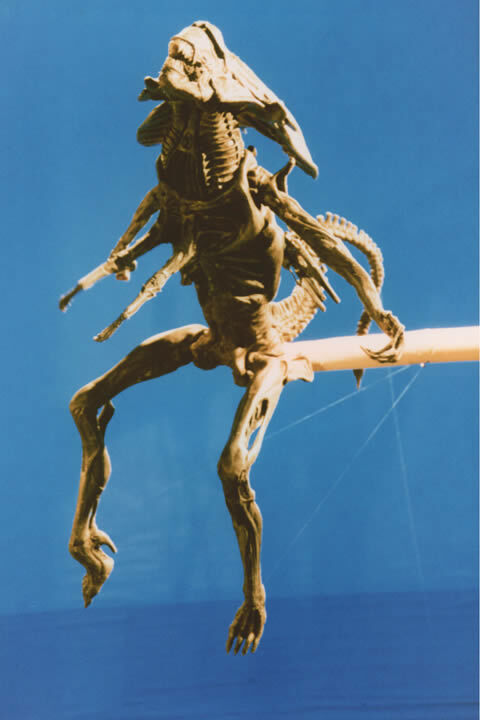 This model was small enough to shoot the final ejection sequence at the end of the film. 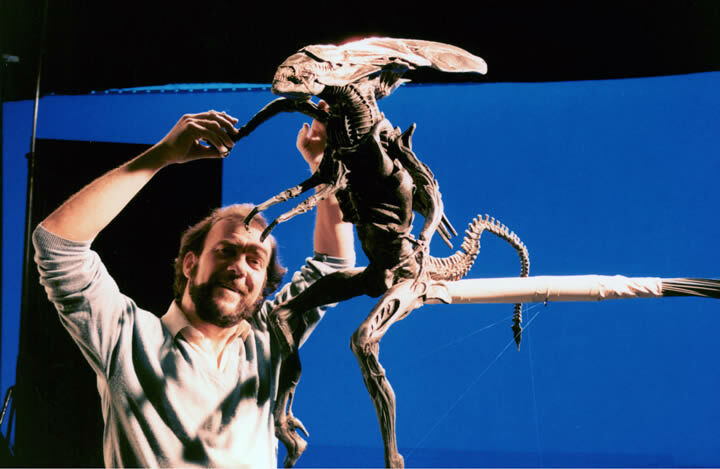 The rig was a standard lever and cable system and here Joe Bruton,John Hatt and Mark Gardiner were helping out. 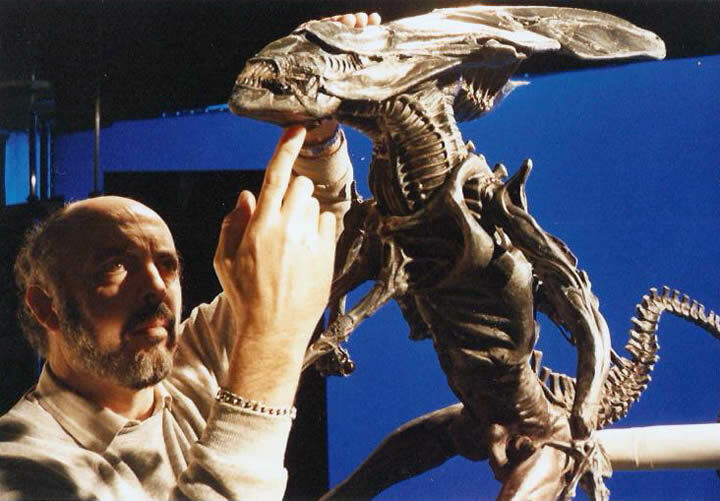 Roger Nichols on standby adjusts the model before a shoot. 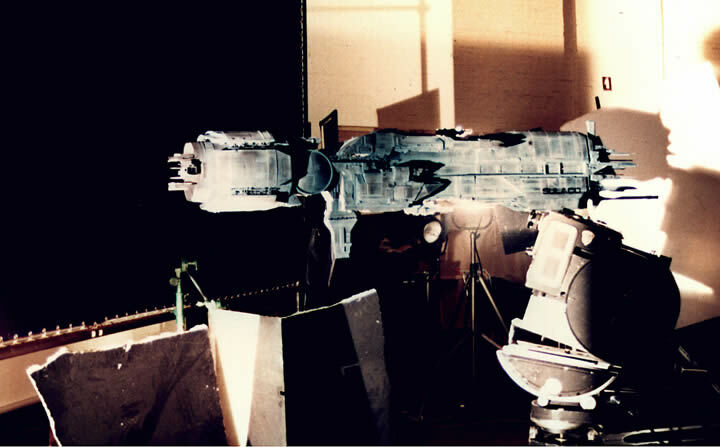 Mitchell Vistavision in the first test line up of the Marine ship 'Sulaco'. 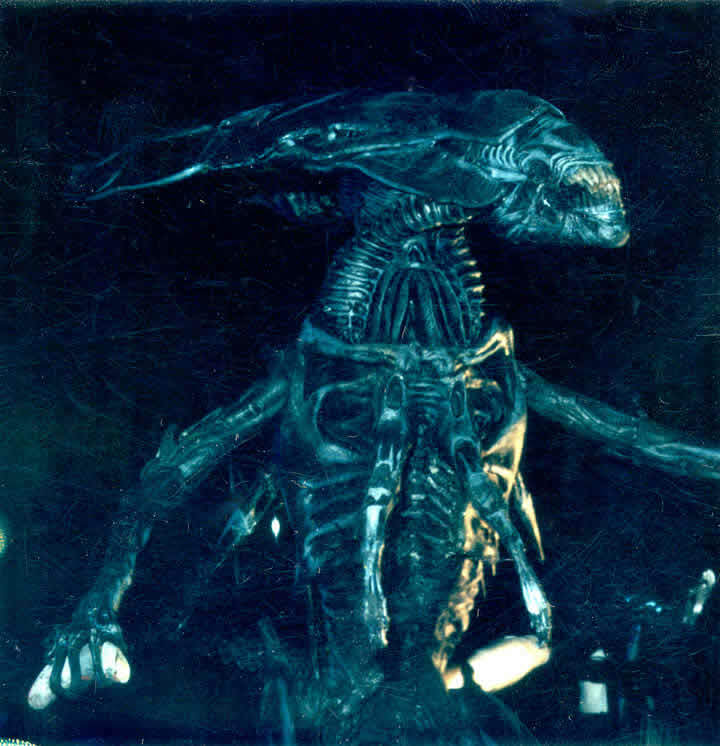 A scratchy Polaroid of the Queen Alien - It has a strange ancient quality about it.